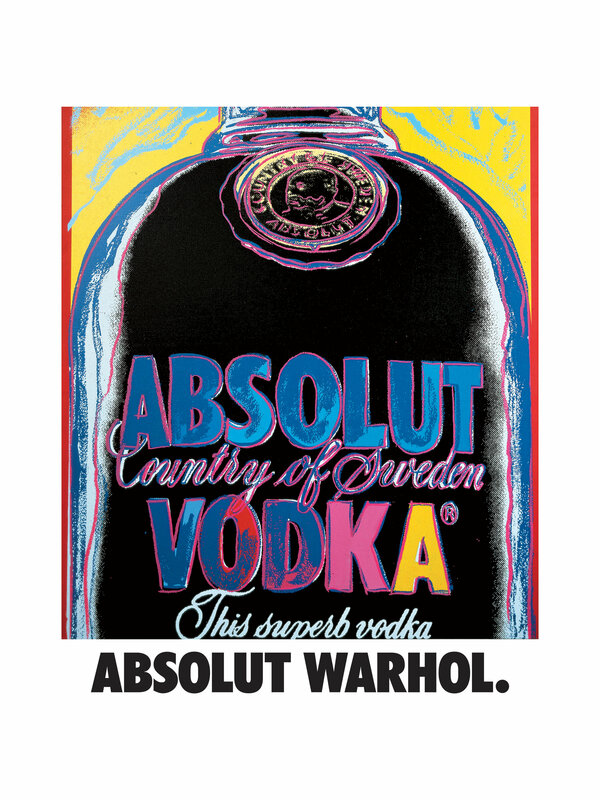 Absolut Vodka unveils new Limited Edition Absolut Warhol bottle, offering a three-dimensional replica of Warhol’s original 1986 Absolut-inspired artwork and print ad for the vodka brand. Credit: 1985 Andy Warhol Foundation for the Visual Arts. Used by The Absolut Company AB under exclusive license. 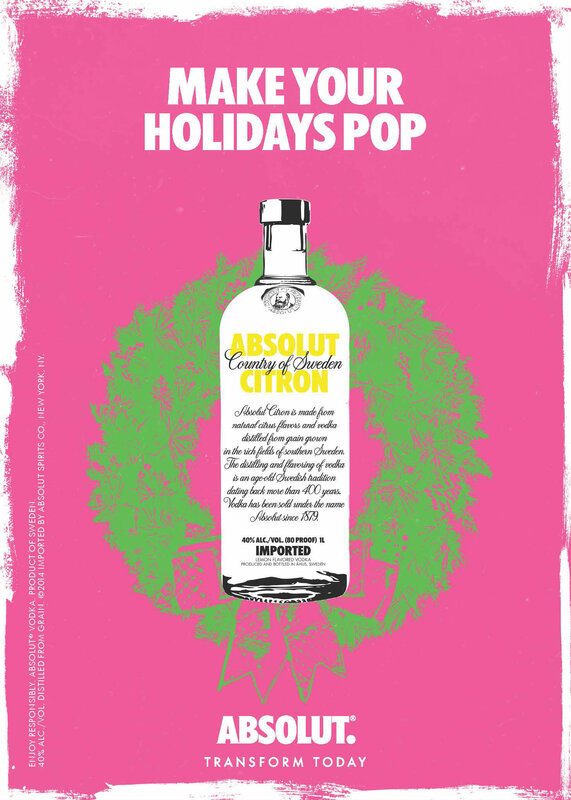 By transforming Warhol’s artwork into a three-dimensional bottle, Absolut allows anyone to “Make the Holidays Pop” with their very own Warhol. 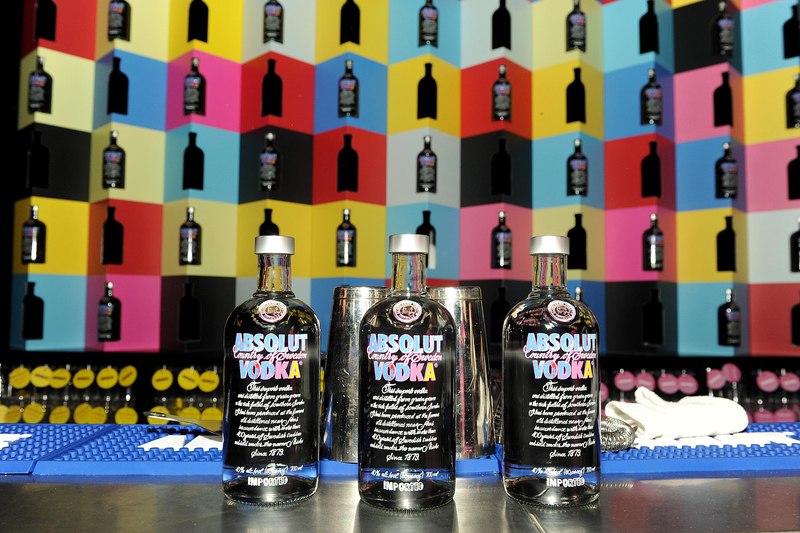 In celebration of Absolut Vodka’s new Limited Edition Andy Warhol bottle, the brand collaborated with artist Leif Elggren at the Warhol Spirit by Absolut event in NYC on October 1. 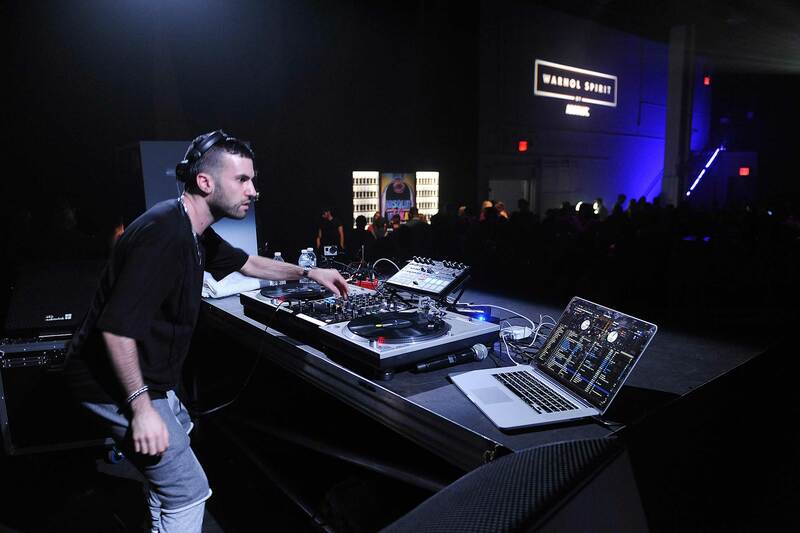 To launch Absolut Vodka’s new Limited Edition Andy Warhol bottle, the brand collaborated with DJ/producer A-Trak at the Warhol Spirit by Absolut event in New York City on October 1. Absolut Vodka launched a Limited Edition Andy Warhol bottle in NYC on October 1 with a one-of-a-kind artistic nightlife experience including specialty themed cocktails. Absolut Vodka launched the new Limited Edition Andy Warhol bottle in NYC on October 1 celebrating the brand’s iconic relationship with Warhol. NEW YORK, Sept 17, 2014 / PR Newswire / — Today, Absolut Vodka proudly announced the Limited Edition Andy Warhol bottle, a new design celebrating the brand’s iconic collaboration with the illustrious Andy Warhol. The offering embodies the brand’s commitment to supporting all things rooted in artistic expression and creativity. In 1986, Andy Warhol became the first in a long line of celebrated artists to collaborate with Absolut, when he created an original piece inspired by his adoration of the brand’s iconic bottle. This fall, Absolut brings Warhol’s creative vision into the 21st century, by transforming his artwork into a three-dimensional bottle, allowing anyone to “Make the Holidays Pop” with their very own Warhol. Since 1986, the Swedish vodka brand has collaborated with thousands of cutting-edge artists, including Keith Haring, Damien Hirst, Louise Bourgeois, Annie Liebovitz – and more recently, Jay-Z , Spike Jonze, Swedish House Mafia and Lady Gaga. 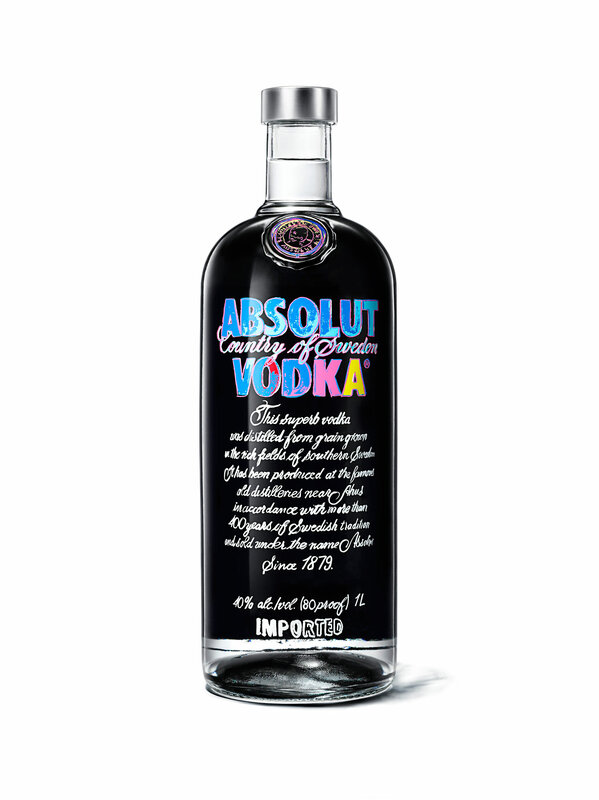 The Warhol Limited Edition bottle design is black with blue, pink and yellow details – replicating Andy Warhol’s original Absolut Warhol painting. The limited edition features approximately four million bottles, which will be distributed worldwide beginning October 2014. To support the launch of the Warhol Limited Edition bottle of Absolut Original, Absolut is launching two transformative consumer-facing initiatives: the Warhol Spirit by Absolut experience and the Andy Warhol Art Exchange by Absolut. In celebration of the new Andy Warhol Edition, Absolut will collaborate with Andy Warhol once again by reaching out to his spirit for a one-of-a-kind nightlife experience in New York City. During the experience, acclaimed DJ A-Trak, light artist Schnellebuntibilder and experimental EVP artist Leif Elggren, will work together to transform sound waves originating from Warhol’s spirit into a one-of-a-kind nightlife experience. Using the sound waves as the main input, the three artists will create a live-collaboration where Schnellebuntibilder’s interactive light installation will react to A-Trak’s music, which mixes in Andy Warhol’s words picked up by Leif Elggren’s EVP machine. Through this truly unique experience, Absolut seeks to inspire audiences to realize that anything is possible through creativity. 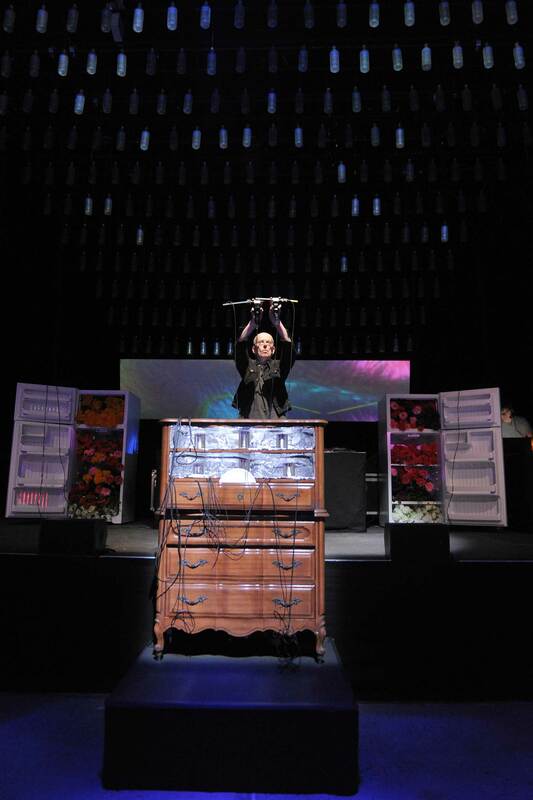 To allow audiences anywhere in the world to experience the connection with Warhol, an interactive site will live-stream what sounds are picked up from the EVP before, during, and after the event. The experience is part of the Nights by Absolut program, which brings the brand’s Transform Today campaign to life through a series of transformative artistic experiences. By reimagining what is possible in nightlife through these experiences, Absolut hopes to inspire audience to raise the bar for what to expect from a night out, and empower them to transform their own nights. 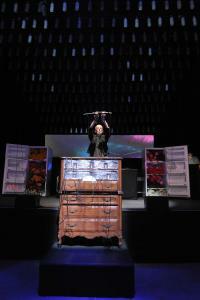 See how the artists prepare for the performance, follow it live or watch it after by visiting absolut.com/warholspirit. Beginning Oct. 1, Absolut will invite people from around the world to unleash their own creative spirit by entering The Andy Warhol Art Exchange by Absolut – the world’s largest online art exchange. Users can participate by submitting or creating a piece of digital art and, in return, will receive one from another user from somewhere in the world. What’s more, a select number of participants will find themselves trading art works with notable artists such as Ryder Ripps. 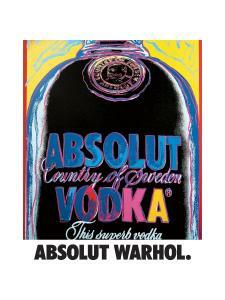 One lucky person will even end up with a photo of the Absolut bottle taken by Andy Warhol himself. At absolut.com/artexchange, Absolut provides fun and easy-to-use generative art tools, enabling anyone to be an artist. The site will also accept most image files and formats, including uploads via Instagram, Facebook and Twitter. These tools reiterate Absolut’s manifesto that creative transformation is within reach for everyone. The Andy Warhol Art Exchange by Absolut runs from October to December, with exchanges happening at the end of each month. Participants above legal drinking age, from anywhere in the world, are welcome to enter. 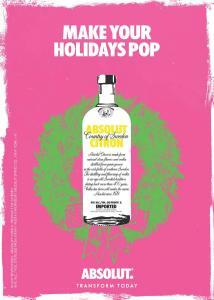 For information on the limited edition Absolut Warhol bottle, please visit absolut.com/andywarhol. ABSOLUT® VODKA. PRODUCT OF SWEDEN. 40% ALC./VOL. DISTILLED FROM GRAIN. 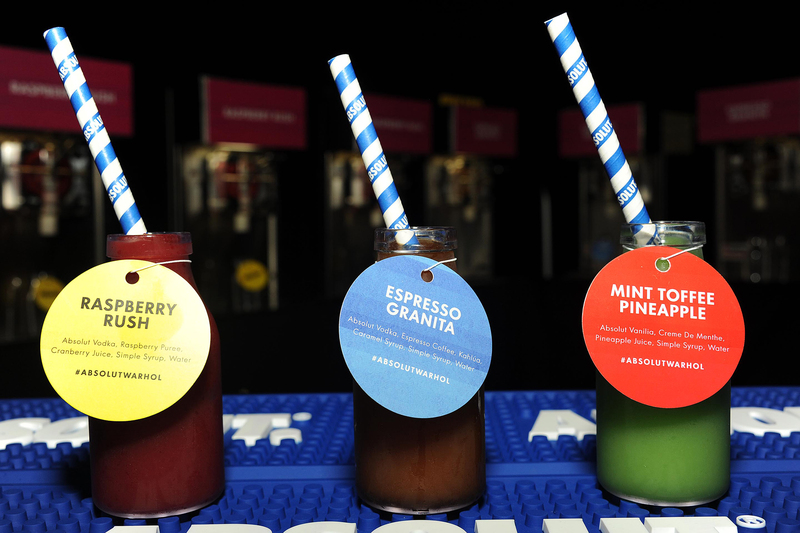 © 2014 IMPORTED BY ABSOLUT SPIRITS CO., NEW YORK, NY. The company’s leading spirits and wines include such prestigious brands as Absolut® Vodka, Chivas Regal® Scotch Whisky, The Glenlivet® Single Malt Scotch Whisky, Jameson® Irish Whiskey, Malibu®, Kahlúa® Liqueur, Beefeater® Gin, Plymouth™ Gin, Seagram’s Extra Dry Gin®, Martell® Cognac, Hiram Walker® Liqueurs, Pernod®, Ricard® and Avión™ Tequila; such superior wines as Jacob's Creek®, Kenwood® Vineyards and Brancott Estate®; and such exquisite champagnes and sparkling wines as Perrier-Jouët® Champagne, G.H. Mumm™ Champagne and Mumm Napa® sparkling wines.